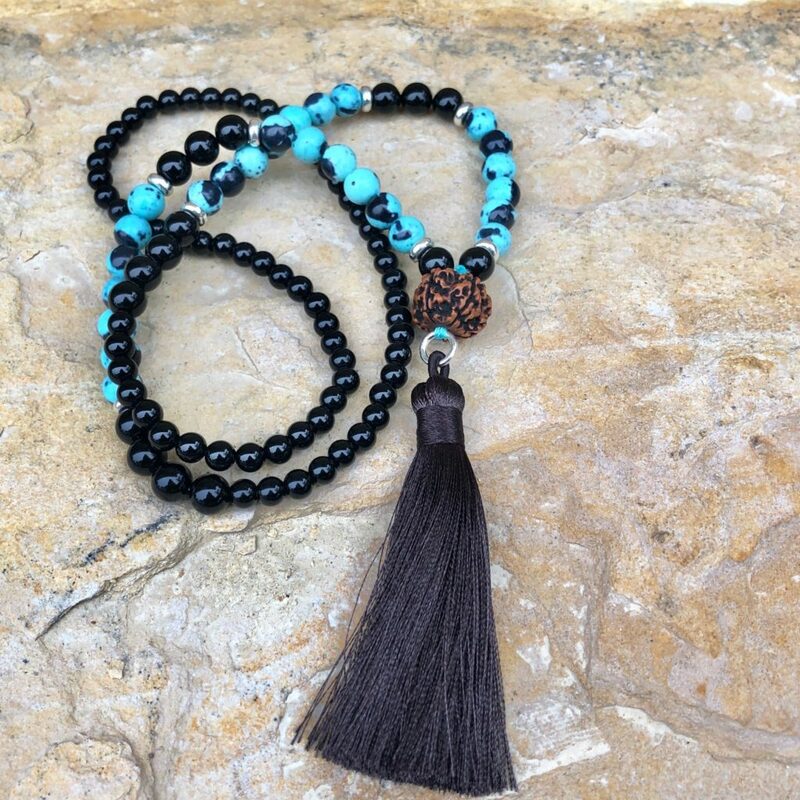 108-bead mala; 6mm & 8mm Onyx, African Turquoise and Pyrite beads with Rudraksha seed and hand-made recycled silk sari tassel. 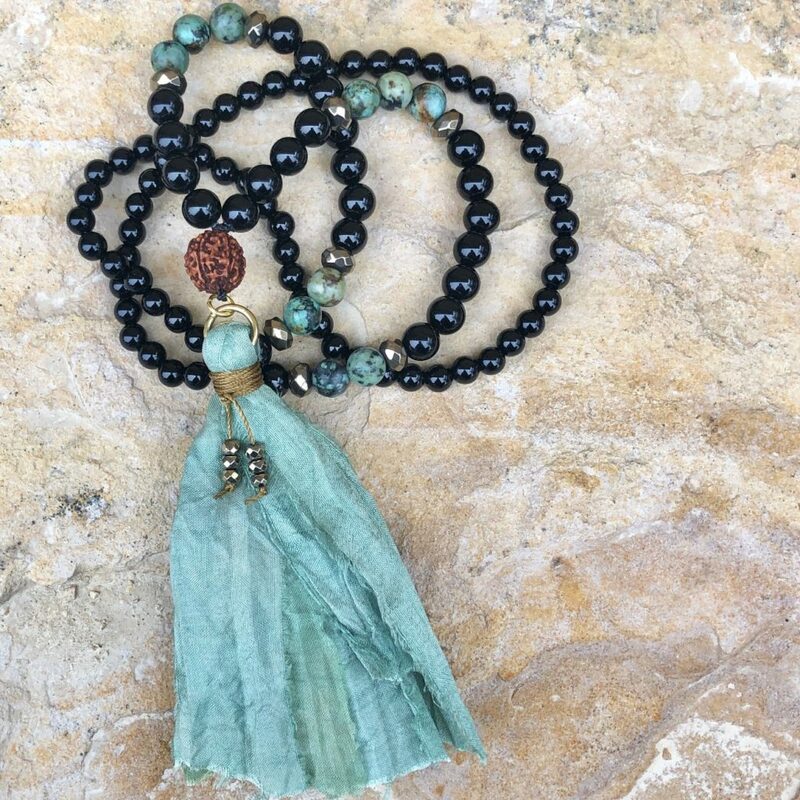 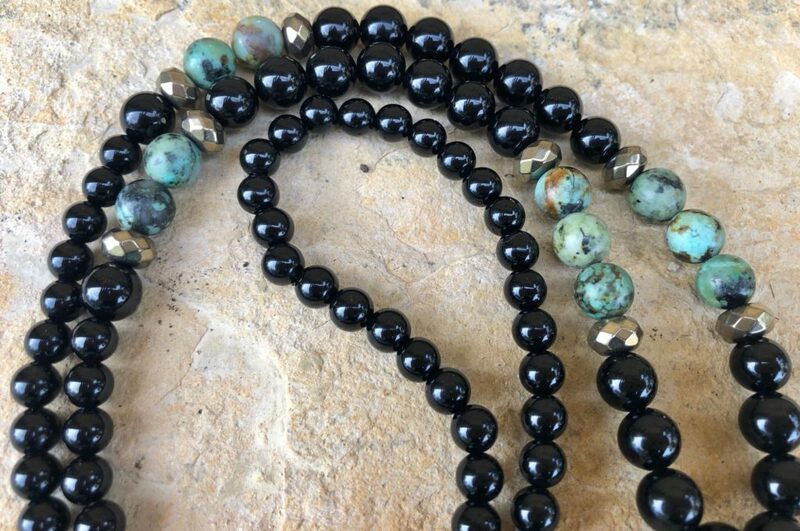 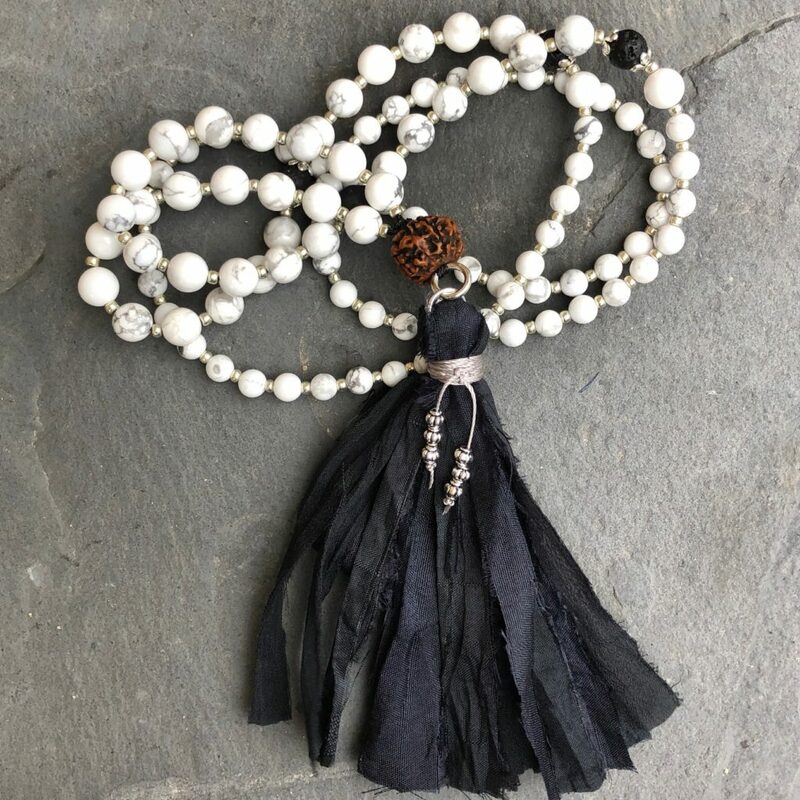 This mala is strung on a strong nylon cord and measures approximately 18 1/2 inches in length. 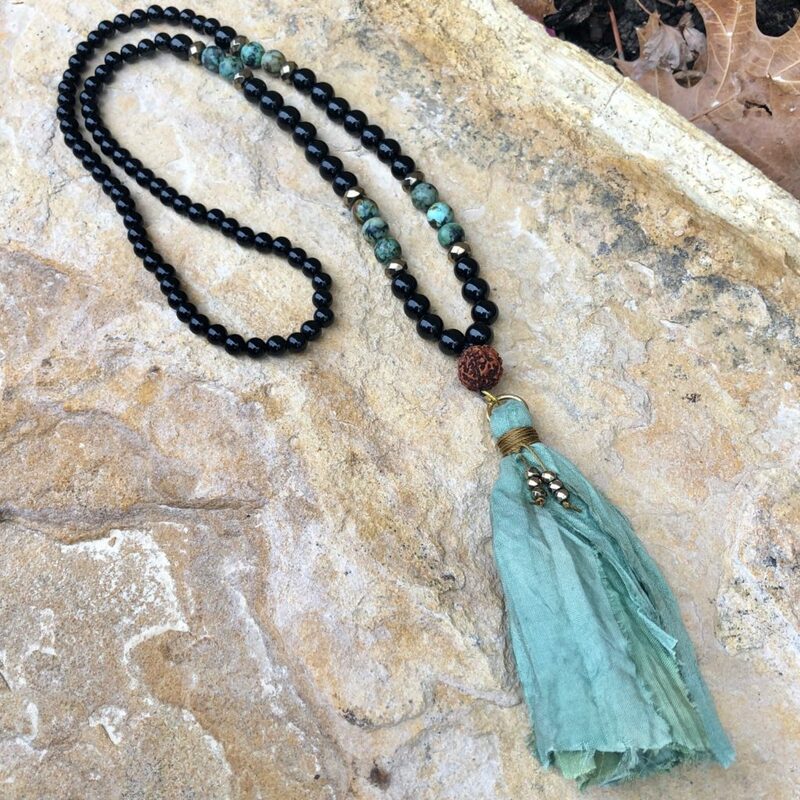 Tassel: Represents the roots of the lotus flower and reminds us “no mud, no lotus”. 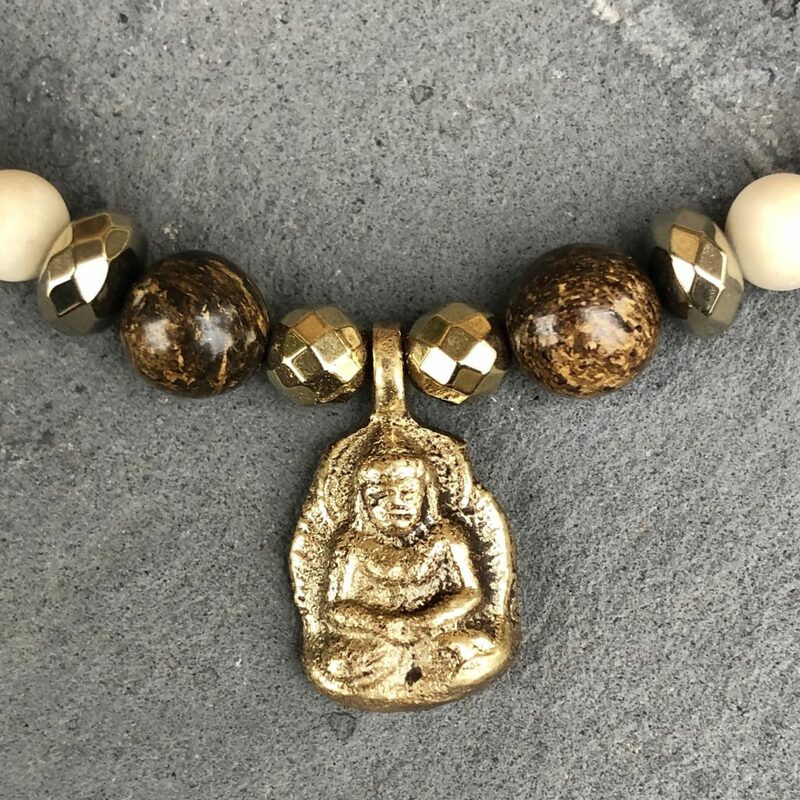 Just as the lotus seed pushes through the mud to become the flower, so must we push through our challenges to come in to our light. 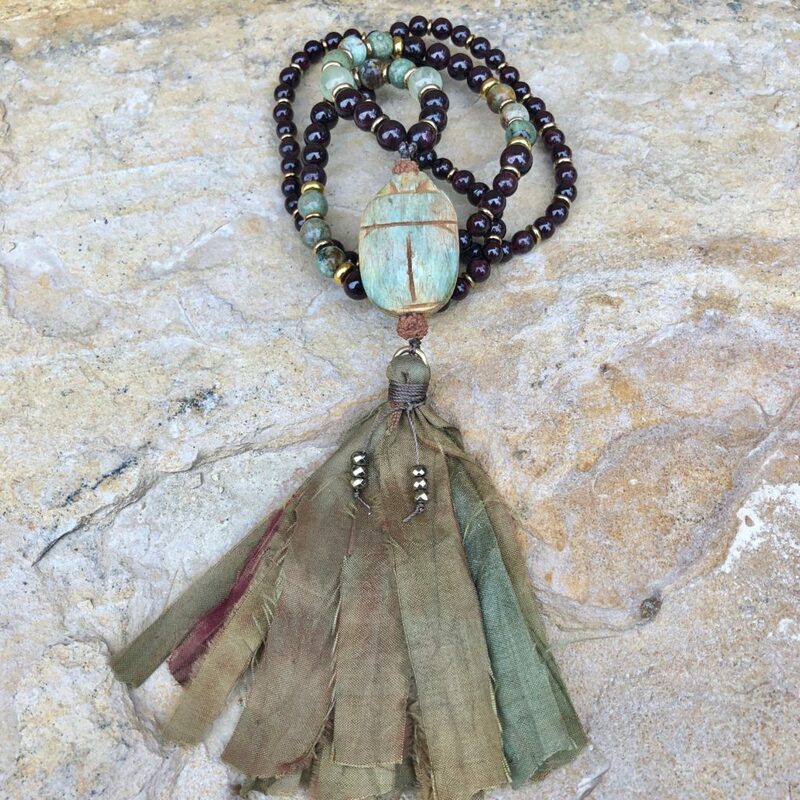 Handmade from recycled silk sari ribbon. 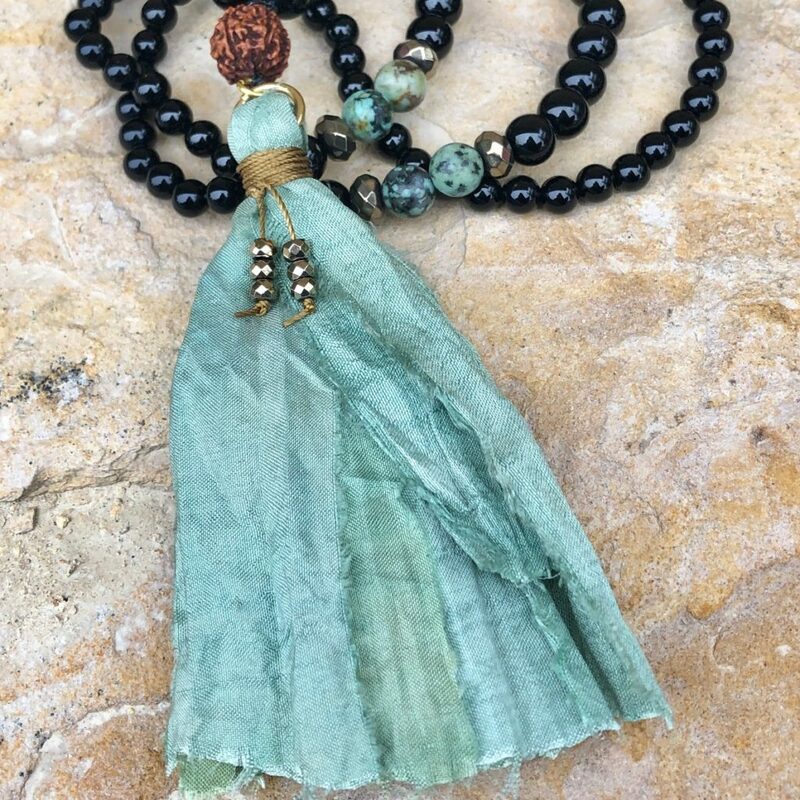 The use of fair trade, silk sari ribbon empowers women to become entrepreneurs in India and Nepal, allowing them to generate an income for themselves and create new opportunities for their families.